We’d love your help. 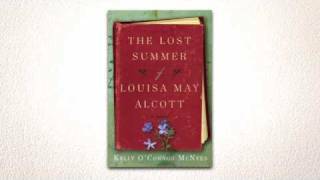 Let us know what’s wrong with this preview of The Lost Summer of Louisa May Alcott by Kelly O'Connor McNees. To ask other readers questions about The Lost Summer of Louisa May Alcott, please sign up. 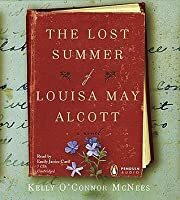 Anyone who loved Louisa May Alcott’s “Little Women” will find “The Lost Summer of Louisa May Alcott” a delightful extension of the family atmosphere that made Alcott’s book such a treasure. In much the same way that the Jo March character in “Little Women” is based on Alcott’s own life and family story, so too, is this novel based in part on the real life of Louisa May Alcott. Though the central story of Louisa’s romance with Joseph Singer during the summer of 1855 in Walpole, New Hampshire, is a Anyone who loved Louisa May Alcott’s “Little Women” will find “The Lost Summer of Louisa May Alcott” a delightful extension of the family atmosphere that made Alcott’s book such a treasure. In much the same way that the Jo March character in “Little Women” is based on Alcott’s own life and family story, so too, is this novel based in part on the real life of Louisa May Alcott. Though the central story of Louisa’s romance with Joseph Singer during the summer of 1855 in Walpole, New Hampshire, is a fiction, many of the elements included in the story have been taken from what is known about that time period in Alcott’s own life. Descriptions of her own family and circumstances are taken from letters of the author and other research and incorporated seamlessly by Kelly O’Connor McNees into this charming tale of Alcott’s difficult choices on the road to becoming a writer. The book and story line are so compelling simply because they reflect not only the historical time period in the country, its cultural bloom (the summer of Whitman’s then-controversial “Leaves of Grass”), but also of Alcott’s own family life. The story focuses on the traditional underpinnings of society’s expectations of women, and Alcott’s own struggle to be her own person and do what she loved, despite it all. I really enjoyed reading this book, but I had one major issue with it. I've recently read quite a few contemporary books of fiction that take facts from the life of a famous author and create stories that very well could have happened, but didn't. I don't think this should be done. If I were to be a famous author someday, I would HATE for some future author to make up stories about what they think I did with my life, and what they think I was like. This is one of those books. I don't care how mu I really enjoyed reading this book, but I had one major issue with it. I've recently read quite a few contemporary books of fiction that take facts from the life of a famous author and create stories that very well could have happened, but didn't. I don't think this should be done. If I were to be a famous author someday, I would HATE for some future author to make up stories about what they think I did with my life, and what they think I was like. This is one of those books. I don't care how much you study someone, you can never really know what it's like to be them, or know how they make their decisions, or why. The biggest issue I had with this book centers around one of the decisions that Louisa May Alcott made with regards to Joseph Singer. Had this book been entirely fictional, and not a fictional story about a REAL person, I wouldn't have been so against what happened. But I think the author took too many liberties with how she portrayed Miss Alcott. And that really bothers me. So much that it knocked my rating down to three stars from what would have been five. Just on the cusp of international fame as a writer, Louisa May Alcott and her family move to the hamlet of Walpole, New Hampshire in the summer of 1855. Bronson Alcott, full-time philosopher and zero-time bread-winner, moves the family into a house generously on loan from family — just another chapter in the Alcott’s life of borrowing in order to sleep and eat. Bronson won’t compromise his transcendental ideals to merely put bread in his daughers’ mouths. Louisa, exhausted from years of poverty, Just on the cusp of international fame as a writer, Louisa May Alcott and her family move to the hamlet of Walpole, New Hampshire in the summer of 1855. Bronson Alcott, full-time philosopher and zero-time bread-winner, moves the family into a house generously on loan from family — just another chapter in the Alcott’s life of borrowing in order to sleep and eat. Bronson won’t compromise his transcendental ideals to merely put bread in his daughers’ mouths. Louisa, exhausted from years of poverty, distracted parents, and a noisy house full of sisters, plots and plans to move to Boston and earn a living by her pen. Though she has been saving the little she has earned from selling her stories, she feels compelled to help her parents and sisters get settled in Walpole before she sets off for a life of blissful independence — hampered by no man and by no babies. And then, in a “lost summer” (lost because much later in life McNees’ Alcott burns all evidence of this summer), Alcott meets Joseph Singer, son of the dry goods shop owner. A man who also has read the scandalous new Leaves of Grass. A man whose ideas about marriage are so progressive they almost tempt young Louisa to consider a more traditional life of marital bliss. Due to my love of Alcott and my incredible appreciation for the fact that McNees is a former English teacher, I really wanted to love this book. I was over the moon when I found it in my mailbox! I’ll admit, I did get sucked in to the story, particularly after the first 100 pages, which were particularly slow. Admirably, McNees also steers clear of a simplistic reimaging of Little Women. This is its own book, weaving in bits of Alcott’s less-famous writing and excerpts from her letters and journals. But, parts just didn’t ring true for me. Although historically the Alcotts did run in the same circles as Thoreau and Emerson, Emerson’s appearance in the book felt like a cheesy cameo. The love story was a little predictable, and the Louisa May Alcott character felt slightly one-dimensional. Fiery, temper-driven, myopic in her drive, this Louisa not only plays against assumptions about the woman behind the story but also reduces her to an archetype. While it is not complex or probing, The Lost Summer of Louisa May Alcott is a nice, light read — perfect for the beach or an afternoon on the porch. What if Louisa May Alcott, renowned author of Little Women, spent the summer of 1855 engaged in romance, torn between her love of freedom and the love of an all too flesh-and-blood man, only to destroy any and all evidence of it at the end of her life? This is the premise of the debut novel from Ms. McNees, and a clever one at that. Too much romance for me, but the historical setting - the intellectual & political fervor of mid-19th Century Boston and it's environs, particularly the Transcen What if Louisa May Alcott, renowned author of Little Women, spent the summer of 1855 engaged in romance, torn between her love of freedom and the love of an all too flesh-and-blood man, only to destroy any and all evidence of it at the end of her life? This is the premise of the debut novel from Ms. McNees, and a clever one at that. Too much romance for me, but the historical setting - the intellectual & political fervor of mid-19th Century Boston and it's environs, particularly the Transcendental Movement and pre-Civil War machinations - was intriguing. The author cleverly took the historical coincidence of the publication of Walt Whitman's Leaves of Grass and wove it into the story deftly by positing that Louisa pinches her father Bronson's copy & is deeply affected by it, a not-implausible possibility considering his philosophical inclinations and connections. Reading historical fiction always leaves me wondering: what is historical and what is fiction? But in this case, I believe that McNees stayed, with the exception of her fictionalized scenario of the love afair, true to the facts. But geez, another novel that posits that the only thing a woman really wants is love? Come on. This seems a particularly egregious liberty-taking with the life of LMA; an obsession with love seems out of character for the young woman that McNees portrays. But any book that gets me hot for poetry isn't all bad. Kelly O'Connor McNees needs to brace herself for the storm of praise she will soon be smothered with. I received an advance copy of Lost Summer on Friday and read it by Saturday, I could not put it down. Kelly builds a believable scenario about a person that I have held in incredibly high regard since I was a young girl, writer of Little Women Louisa May Alcott. Lost Summer revolves around one summer when the Alcott family, seemingly always down on their luck, spend summer at the vacant house of a relative. The Alcott's leave an indelible imprint on the town and the people in it and are in turn left with heartprints of their own. Using thorough research plus thoughtful imagination Kelly paints a season of wanting, hurting, jealousy and repression with moments of tenderness and simple pleasures. Every person who reads Lost Summer will come away a little lighter in the tear ducts but richer in the heart. Little Women remains one of my favorite childhood novels. It is one of the first "big" books I remember reading as a little girl, and like millions of girls before and since, I fell in love with Meg, Jo, Beth, and Amy. Because I much prefer to read fiction rather than research authors, I only know the basic premise of Louisa Alcott's life, but I requested this advanced reading copy because of my affection for Little Women. When I started noticing positive buzz from my fellow bloggers, I opened t Little Women remains one of my favorite childhood novels. It is one of the first "big" books I remember reading as a little girl, and like millions of girls before and since, I fell in love with Meg, Jo, Beth, and Amy. Because I much prefer to read fiction rather than research authors, I only know the basic premise of Louisa Alcott's life, but I requested this advanced reading copy because of my affection for Little Women. When I started noticing positive buzz from my fellow bloggers, I opened to the first page with low expectations in an effort to avoid disappointment. Happily, not only were my expectations met, they were completely exceeded by this engaging, enticing book that successfully blurs fact and fiction. The writing is absolutely phenomenal. Ms. McNees brought Louisa and her family to life, creating a crystal-clear picture of life in New England in the 1850s. Meg, Jo, Beth, and Amy literally come to life as Louisa's real-life sisters, and the reader comes to complete understanding of what sacrifices were made by the Alcott family in order to allow Bronson to live according to his transcendental philosophy. Interwoven throughout the action is an undercurrent of tragedy. Are choices ever easy? Should they be? Of particular importance is the idea of women's reliance on men and the consequences of that reliance. Exemplified by the Alcott's perpetual suffering and destitution because of Bronson's ideals and Joseph's choice between happiness and duty in the form of the care of his sister, women had few choices for happiness and security. In fact, Louisa's struggle highlights the unfair choices offered to women either through convention or society. Given those societal norms, Louisa's story and ultimate success are all the more remarkable. Rather than pigeonhole her into a marriage and allow her to wither away as a housewife, both her parents supported her reading and writing. They encouraged her to make her own way in society, and, if Ms. McNees' research is correct, gave her the push out the door she needed to step out on her own - all at a time when women just did not live by themselves and write for a living. Given what other women faced at a similar time period, this truly is an amazing show of support, and readers everywhere are the better for it. For those of us who grew up relating to Jo, you will absolutely relate to and love Louisa. Just like Jo, she prefers to read versus doing anything else, especially housework. She has a deep-seeded need to be alone every so often. Like Jo, she has a tendency to over-dramatics and depression plus issues with her temper. Her opinions of marriage and motherhood are extremely modern, and as she discovers throughout the novel, unique when compared to her contemporaries and fellow sisters. Readers can definitely see glimpses of Jo in Louisa, even as Louisa takes on a life of her own. In the summer of 1855, Walt Whitman's controversial "Leaves of Grass" has just been released, and the notion of making a living as a writer is still a far-off dream for Louisa May Alcott. She is twenty-two years old, vivacious, and bursting with a desire to be free of her family and societal constraints so that she can do what she loves—write. Within this context, the author combines fact and fiction in a fascinating way to tell a story of a romance during one summer when the Alcotts were living In the summer of 1855, Walt Whitman's controversial "Leaves of Grass" has just been released, and the notion of making a living as a writer is still a far-off dream for Louisa May Alcott. She is twenty-two years old, vivacious, and bursting with a desire to be free of her family and societal constraints so that she can do what she loves—write. Within this context, the author combines fact and fiction in a fascinating way to tell a story of a romance during one summer when the Alcotts were living in Walpole, NH. So as not to reveal too much about this love affair, I will only say that reading about that summer was a very satisfactory fleshing out of the biographical details that I have read about one of my favorite authors. In "Little Women (Unabridged Classics)," which is loosely based on her own family history, Alcott created (finally) a marriage between her alter-ego Jo March and Professor Bhaer. And the thread of a romance between Jo and Laurie was woven throughout the story. 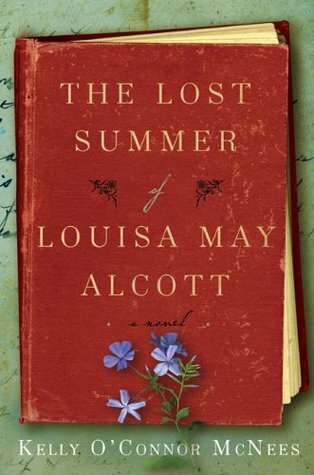 Reading "The Lost Summer of Louisa May Alcott" answered a question as to who might have inspired the character of Laurie. This was a quick read, full of delightful details that made the author much more real than anything else I've read about her. She is, in fact, every bit as real in this story as the characters she herself created. An unforgettable story that definitely earned five stars. This was a thoroughly enjoyable book that gives some context to Louisa May Alcott as the author and tells an entertaining and heartbreaking fictional story of love lost. As we know, Louisa never married, and yet so much of her life was borrowed for the stories in Little Women. Who was the real Laurie? This book poses the question, what if he were real, and what if they were in love? What would have happened that prevented or stopped them from getting married? The result is this novel, rich in hist This was a thoroughly enjoyable book that gives some context to Louisa May Alcott as the author and tells an entertaining and heartbreaking fictional story of love lost. The result is this novel, rich in historical detail. I'm not an expert on the real life of Alcott, but judging from the one book I have read (Little Women), the character created here seems like she could be similar to the real Louisa. The Louisa in this book struggled with many competing values. She adored her father, but at the same time, did not like being poor (due to his ethics, he would not work for money). Louisa loved her independence and hated the obligations of marriage, yet she was in love. I could relate to Louisa so much. I know what it is like to be fiercely independent, to have goals and not want to be tied down to another person's expectations. Even though we know from history that Louisa never married, the way the events unfolded to me was entirely unpredictable. I was going to say if you wanted a break from politics too, but the father here is a real piece of work. He was basically against everything except thinking deep thoughts. Can you imagine not having food for a family of 6, a neighbor gives you some pork from a pig that had to be put down and you have to ask your husband if you can serve it? And hear a lecture about the suffering of farmyard animals? McNees hits it right on the head. "Grateful" is the word that comes to mind after reading this...grateful for a/c, not having to bake bread each week or spend 2 days a week washing clothes, even being able to wear a swimming suit. It took me a little while to really sink into this story. I really wanted it to be a cute book that I could recommend to my girls since we all love Louisa May Alcott's books---sadly this author put a modern-day, jump in the sack scenario in the middle of the book that both cheapened the love story in the time period it was set in and felt totally random and unromantic. It wasn't inappropriately descriptive-- it just ruined the story's charm. I don't know what page I'm on -- I'm close to the end but don't want to finish it. It's fiction and kind of written in the style of "Little Women" with lots of quotes in front of the chapters from LMA's works and other Transcendentalists. I grew up on LMA's books so this is a delight! Well, I did finish it -- it was a very satisfactory ending and a delightful book! I highly recommend it. I can't.....TAKE IT ANYMORE!! Make it stop mommy....PLEASE! Like so many other young readers, Louisa May Alcott was one of the first authors that I really connected with. For years after my first reading experience with Little Women, I counted Louisa May Alcott as my favorite author. I wrote countless book reports on her and beginning at age ten I read all of her major works from Little Women to Eight Cousins to Jack and Jill until I was about sixteen. Within all of these works, there always seemed to be a slip of Louisa shining through, but I never real Like so many other young readers, Louisa May Alcott was one of the first authors that I really connected with. For years after my first reading experience with Little Women, I counted Louisa May Alcott as my favorite author. I wrote countless book reports on her and beginning at age ten I read all of her major works from Little Women to Eight Cousins to Jack and Jill until I was about sixteen. Within all of these works, there always seemed to be a slip of Louisa shining through, but I never really knew the author behind those words despite what facts I tried to glean from biographical sources. Those who enjoyed Little Women will enjoy this story of Louisa and her humble family as well, though this is told with more of the modern fashion of today and with a bit more of a depressive pall over the general story. The situation is very similar though, with the sisters' relationships and the era, which is depicted well in this new novel. The poverty that Louisa's family faced was different then one would off-handedly assume. When one is thought of as being poor, we tend to think that the provider in the family is naturally doing everything in his power to achieve a better way of life for the family, yet perhaps circumstances have not been kind to them. That was not the case with the Alcotts. Louisa's father, Bronson, was a Transcendentalist, and did not believe in obtaining money for his speeches that he gave, and was against commercial gains. His family gave what they should have kept for themselves, as they were humble enough to realize that giving was better than receiving, even if they themselves did not have enough candles for the night or enough bread for the day. From what I recall reading Louisa's writings many moons ago, her spirited wit and happiness within family and hope seemed to emanate throughout, even when there was destitution or poverty. Beginning to read McNees' telling, this story is at the point where Louisa and her sister Anna were in their early twenties living at home with the greatest hope of escaping. The vibrancy of childish hope is no longer at the forefront, s these girls are mature enough to realize the struggles that adulthood provides. This summer that the author writes of in this novel illustrated the inner struggles that the elder girls faced, as they were torn between their family loyalties and their wishes for a better life for themselves. Anna had hopes for a marriage and children, while Louisa aches for independence so that she can write her stories. Once Louisa meets Joseph Singer, Louisa is faced with the struggle between the romantic bliss of a new love which eludes to a promise of family, versus that very same independence that Louisa has worked towards for years and counted on as her way of life. This story was extremely eloquent and reminiscent of Alcott's writing as I felt whisked away to her time period, and I was utterly bereft when the novel was over. It had me from the front cover. The novel focused on one aspect of Louisa's life that was entirely fictitious, but was still well worth my time. The fictitious aspect concerned a love affair with a gentle young man, who was ready to run away with Louisa and make a new life for the both of them. I fervently hoped that she would accept his love and run away with him so that she would be privy to the solace of a family of her own. But could Louisa have been satisfied with such a momentous decision? I felt so close to Louisa through this author's re-imaginings and I wish the novel started out when Louisa was small and ended with Louisa's death. I still would have savored a thousand page book if told in the same fashion that this novel was told in. 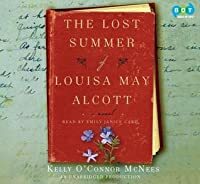 I highly recommend The Lost Summer of Louisa May Alcott to all fans of Louisa May Alcott and those who are interested late 1800's New England culture. The details of the way of life and the settings were wonderfully inserted and made for a piece of work that the private Louisa May Alcott would have been proud of. I even enjoyed the cover of the book, it was very well done and the chapters beginning with quotes and time periods were helpful for setting the stage. The chapters that began with a quote from Louisa's works made me realize I really need to go back and re-read her work. The one complaint is that it was entirely too short, but since it was a tale focused on summer love I understand the need for brevity. It felt like a minor blip in regards to the true scope of Louisa's life, and I still feel the need for more on Louisa for which I will read some other works such as Eden's Outcasts by John Matteson and March by Geraldine Brooks. Since it was so focused on a love story, I would also recommend this to chick-lit fans and is even appropriate for the Young Adult genre since it was such an easy read. This was a fabulous debut novel for Kelly O'Connor McNees which makes me wonder what is next from her pen as I will be eager to read more from her. The Lost Summer of Louisa May Alcott is a fantastic addition to my Louisa May Alcott library that totally exceeded my expectations. This is going on my Top Ten Faves of 2010 list. Note to publicist: My apologies for not getting this review up sooner, I was working around the HF Bloggers Round Table events and the backlog of other reviews, but the good news is that my readers do not have to wait to get their hands on this fabulous book, it is available now! The author has read all the LMA bios, standard and unusual, and synthesizes all of them into a wonderful tale of a gifted writer, and an ever-so-human woman. I'm suggesting to all the Alcott lovers in my life that they should save this for a summer read. The first thing that attracted me to this book was the pretty cover. No, I don't generally judge books by their covers but to this avid reader, a picture of a book on the cover of a book is irresistible. This is a historical novel about Louisa May Alcott, part fiction and part based on research by the debut author Kelly O'Connor McNees. It is a gentle and old fashioned tale filled with colorful characters that came as a welcome break from the Holocaust/WWII books I just finished reading. There The first thing that attracted me to this book was the pretty cover. No, I don't generally judge books by their covers but to this avid reader, a picture of a book on the cover of a book is irresistible. This is a historical novel about Louisa May Alcott, part fiction and part based on research by the debut author Kelly O'Connor McNees. It is a gentle and old fashioned tale filled with colorful characters that came as a welcome break from the Holocaust/WWII books I just finished reading. There is a little heartache in The Lost Summer of Louisa May Alcott it's not of the same intensity. Of particular interest to me were the members of Louisa's family, especially her father. It was also fascinating to read about other authors of that time period who were personally known by the Alcott family. The book inspired me to want to reread Little Women and also to do some of my own research on Louisa May Alcott. add to my update feedCheck this box to include your comment in your Update Feed. Your Update Feed is what your friends see on their homepages and in their update emails. You can control whether this box is pre-checked on the my account page. formatting tipsGoodreads allows some html formatting. In a sentence: I adored this book! I can still remember sitting in the back seat of my parents' car when I was twelve years old, driving to North Carolina for my first look at snow. I was consumed with Little Women - I knew from that moment that I would always love reading. Jo's character was so admirable to me: strong, smart, focused, independent. She was everything that I could see myself wanting to be. The Lost Summer of Louisa May Alcott provided a spectacular glimpse at the author that broug In a sentence: I adored this book! The Lost Summer of Louisa May Alcott provided a spectacular glimpse at the author that brought me Jo. The view of Alcott's hometown, the family that shaped her life, and an opportunity to move away and become the writer that she wanted to be was breathtakingly real. I enjoyed the way that the author provided background to Alcott's home life, including her father's transcendentalist lifestyle to which he dedicated all of his focus, despite the ill effects that it may have on his family. Louisa's relationship with Joseph Singer was stunning and heartbreaking. Louisa's character was so strong and determined to follow her dreams of writing that she was not looking for the love that she found with Joseph. The descriptions of their romance were lovely and real. I felt as if I was reading a novel from the 19th or early 20th century and liked how McNees did not feel the need to give in your face descriptions of the love affair, but provided just enough to let your heart imagine their affection. "...Jo would have ceased to be Jo if she had agreed to marry Laurie." This book is a "what if" account of the supposed "lost summer" of author Louisa May Alcott. The story begins in 1855 as the Alcott family moves to Walpole, New Hampshire after a relative offers them a home for the summer (Louisa's transcendentalist father Branwell had a rather unique view of working/sponging off of others for a living). Louisa meets Joseph Singer and Joseph *courts* her quietly - that is until his father drops "...Jo would have ceased to be Jo if she had agreed to marry Laurie." This book is a "what if" account of the supposed "lost summer" of author Louisa May Alcott. The story begins in 1855 as the Alcott family moves to Walpole, New Hampshire after a relative offers them a home for the summer (Louisa's transcendentalist father Branwell had a rather unique view of working/sponging off of others for a living). Louisa meets Joseph Singer and Joseph *courts* her quietly - that is until his father drops a bombshell that threatens any relationship the two could have had. A heartbroken Louisa eventually moves to Boston to further her writing career, but will Joseph offer her one more chance at happiness? Or will the lure of the pen lure her away from true love? Full disclosure - I am not a huge Louisa May fan and I honestly can't recall if even read Little Women in my younger days - so I'm not as fascinated with her story as a true LMA junkie might be. That said, I still didn't find this book all that enthralling. The book was very slow-paced and not much of anything happened outside of a visit to a circus and a local play, although you can't expect much else in a small town in the 1850's. My biggest problem is the lack of chemistry between Louisa and Joseph, they left me feeling a bit cold. I felt the characters could have been better developed, and I certainly didn't pick up on any grand passion and dedication from Louisa for her writing career. In the end, it is a good book, just not a great one. In The Lost Summer of Louisa May Alcott, we are introduced to a 22 year old Louisa, who is moving to Walpole, New Hampshire with her family due to financial difficulties. While there Louisa struggles with the desire to be a writer and duty to her family. Love and marriage are not options she is willing to consider. She would like nothing more than to go to Boston, live alone and be a writer. Then she meets Joseph Singer. Louisa finds herself smitten and confused. Is there room for love, family a In The Lost Summer of Louisa May Alcott, we are introduced to a 22 year old Louisa, who is moving to Walpole, New Hampshire with her family due to financial difficulties. While there Louisa struggles with the desire to be a writer and duty to her family. Love and marriage are not options she is willing to consider. She would like nothing more than to go to Boston, live alone and be a writer. Then she meets Joseph Singer. Louisa finds herself smitten and confused. Is there room for love, family and writing? Kelly O'Connor McNees captures the essence of the Alcott family beautifully. I felt that the way the family was depicted was in line with things I have read or seen about the Alcott family. Louisa was just a I had imagined her to be and reminded me of Jo in Little Women. I enjoyed this book immensely! I can't recommend it enough. Just like when I read Little Women as a young girl, I didn't want this story to end! I'm looking forward to seeing what Kelly O'Connor McNees writes next. What an enjoyable book. McNees clearly did her research, because the period detail is precise and vivid. She also manages to avoid the overly reverent tone that some authors take when writing about beloved historical figures, while keeping her tone entirely appropriate to the story and period. And the reader, Emily Janice Card, is perfectly suited to the material. A real pleasure. This is a not to be missed book! I had the opportunity to read it a few weeks ago and I can't wait until it hits bookstores everywhere so that I can suggest it to anyone and everyone in a book group! It's going to be beautiful and it's a very, very, very good read! The summer should have stayed lost. Loved this book!!! Wonderful book signing at Schulers. Kelly O'Connor McNees is going to have a HUGE career as a writer! Really enjoyed learning a bit about the history of the Alcott family and reading a beautifally crafted tale of family, friendship, and love.